! 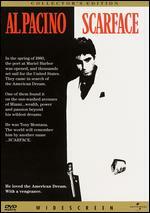 Scarface: Creating - a fascinating look at the making of Scarface and the controversies and struggles that plagued the filmmakers. Beginning with location changes, filiming the chainsaw scene, battles to gain an "R" rating & more.